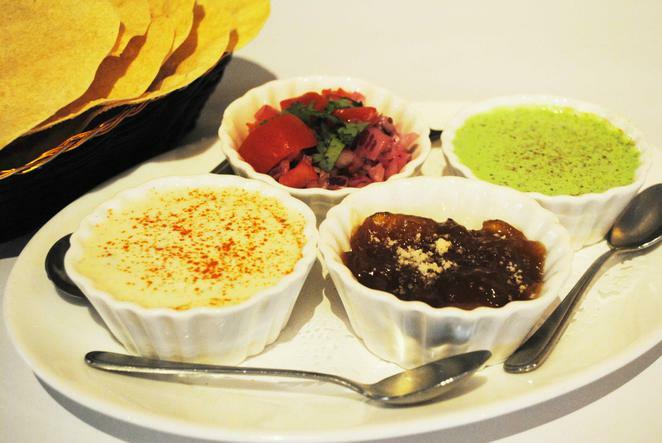 A group of us recently descended on AJ's Indian Restaurant to experience their Indian cuisine. I have visited this restaurant before and the food was lovely and service was impeccable. We began our foodie experience with a delicious lentil dumpling, which were compliments of AJ's, which was a nice surprise. The accompaniments of raita and garlic and plain naan breads arrived. The other accompaniment, slices of banana coated with desiccated coconut, were very tasty. The lovely Samosas, tasty Lamb Rogan Josh and the ever-popular Butter Chicken (particularly with the younger ones) were then placed on our table. The Achari Masala Gosht, the chef's special of beef pieces in aromatic spices, was our favourite dish for the night. The vegetarian option, Daal Tarka, cooked lentils with spices in an oil dressing, had mixed opinions. Some felt the dish was watery, others enjoyed this dish. Overall, it was a satisfying evening. The service was outstanding and the evening was wonderful.